work with a mentor for the duration of their time in the Underserved Pathway. What is the purpose of mentoring in the Underserved Pathway? By providing students with a mentor we can support and nurture the student’s interest in working with these unique populations. A mentor also serves as a bridge to experiences that increase the student’s understanding about careers with underserved populations. What skills do I need as a mentor? The key is in the relationship. Both a mentor and student must choose to work on getting to know each other. The mentor and student must also explore what the student needs from the relationship. The student must understand the strengths and the boundaries presented by the mentor. The relationship will do best if both agree on how to communicate and how often to communicate. It is important that both work to ensure that contact happens and they have goals or questions to discuss. Broadly defined, mentoring is a sustained goal driven relationship between two persons where one is more mature, for the purpose of providing support and advice concerning personal, academic, career or social concerns. You will explore students’ interests and initial career interests. You will help them to understand more about those interests and perhaps direct them to others who share specific interests. Over the course of the relationship, you will likely learn about their family, friends, and outside interests. You can choose to be available as a resource when they have concerns or want support in life events. You will model how personal growth and experience links to career development and academic achievement. Your student may bring a wide variety of expectations and hopes to the relationship. Your student may be looking for a mentor who can introduce them to working with underserved patients or he or she may be looking for a mentor who confirms their commitment to underserved patient care. Your student must connect with you on a quarterly basis. That might be by phone, email, or in person. Some students may want to spend time working with you in clinic. We encourage you to talk with your student about their expectations for these quarterly meetings and what they would like to get out of these meetings. Lastly, as students gain clinical experience, their concerns and goals will change. Understanding the developmental stage your student is in during their medical school career can help you anticipate these questions. Our quarterly emails will include an overview of the major academic events in your student’s life. We expect you to meet (in person, or by phone / email) with your student at least once a quarter. We will provide suggestions for topics to cover in those meetings through a quarterly mentor memo and checklist. We hope that as the relationship grows, you will discover common interests to discuss. We also hope that the experiences your share with your student will be ones that support the student’s decision to pursue a career with the underserved. You and your student can determine the amount of time that you’d like to spend in your mentoring contacts. At minimum we ask you to connect with your student once a quarter (or every 12 weeks). You can connect with your student in person, on the phone or by email. Beyond that, together you can decide on additional activities and contacts. What support would I receive as a mentor? Mentors are supported by the faculty and staff of the Underserved Pathway in the Department of Family Medicine. You may contact the faculty and staff with any questions that you may have about your student, the mentoring relationship and the Underserved Pathway. You will find answers to many of your questions through our Mentor Website, this FAQ page, and Mentor Resources. Additionally, through our quarterly emails we will remind you of important academic events in your student’s life and point you to resources to help your student as they approach these milestones. How does mentoring benefit me? Underserved pathway mentors reap a number of intangible and tangible benefits from their experience. The most important benefit is the relationship that you will form with your medical student. Not only will you have the opportunity to influence a medical student’s career trajectory, but you may also experience a sense of renewed enjoyment and commitment to your own career. Mentors, preceptors and other physicians who spend 50 hours or more per year with their students are eligible to apply for clinical faculty status through the Department of Family Medicine. Clinical faculty members receive access to Healthlinks (a collection of resources for health providers) discounts on purchases at the University Bookstore, sporting activity tickets and cultural event tickets. 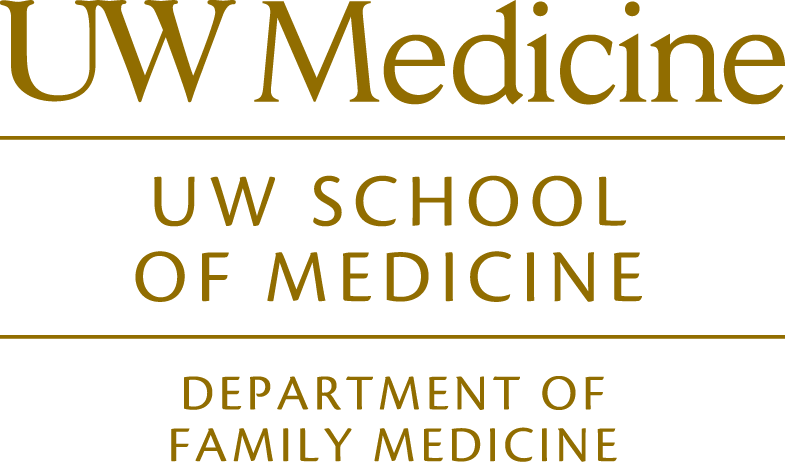 For more information, please refer to the UW Department of Family Medicine’s Clinical Faculty Homepage. What’s in it for my patients and community? Medical students bring current information from biomedical science courses to you through your interactions. As a tool for recruitment, direct contact with a mentor is often cited by students as a deciding factor in their choice of residency or practice in a particular geographic area or with a particular population. How do I get started mentoring my student? Much has been written about mentoring. What is known is that most successful mentoring relationships are centered initially on a project or a goal. As part of your first meeting with your student, we encourage you to share your goals for the relationship and find out from the student their goals. Use of the GLEAM tool can help get your relationship started off on the right foot. The GLEAM tool was developed by the University of Washington to help practicing physicians get to know students in a way that will maximize student learning and interaction and has been adapted by the pathway to help mentors and students meaningfully connect. Goals What are your Goals and expectations for this mentorship? What are your goals and expectations for your career? What do you feel are your content deficiencies and skill challenges? Learning How do you Learn most effectively? What has helped you succeed? What did you find challenging? Think about your favorite mentor. What made him/her so effective? How do you like to receive feedback? What is your learning style? How do you best assimilate material and experience? Where is your learning edge? Experiences What previous patient Experiences have been meaningful to you? What worked for you and helped you learn? What seemed to derail you? Have there been other mentors who seemed to be particularly helpful? What about them made that the case? Have the student share a story. Activities What Activities are you involved in outside of medicine? Consider exploring the student’s support system. What other roles/responsibilities do you have in your family and community? More What More do I need to know about you to make this an optimal mentorship experience for you? What have I forgotten to ask you? Do you have any questions for me? How should I stay in touch? Your student will be asked to contact you every quarter. Should you not hear from your student, it is fine for you to initiate contact. In your initial meeting, please discuss best ways to stay in touch with your student. Some students prefer phone. Others prefer email. You will also have preferences; it helps to clarify what will work for both of you to keep in touch. We do hope that there will be face-to-face meetings as well, when they can be arranged. What kinds of activities should I be doing with my mentee? We hope that students will visit your clinical site at least once. Some may want to shadow you and we hope that you can accommodate that request. If you are able to have a student shadow you, please contact the Underserved Pathway Program Manager at upath@uw.edu first. Some may ask to do a clinical rotation with you and that may also be arranged. It is fine to have them to your home and to introduce them to your family. Lastly, should there be relevant events in your community, inviting and including your students is an excellent way to model how physicians are involved and engaged. If you have any activities that were particularly successful, we encourage you to share them with us so we can promote them to all mentors. Are there any medical legal issues I need to consider? It is usually fine to have a student shadow you in clinic, but please contact Rachel to confirm malpractice coverage for your mentee. This is critical if you plan to involve your mentee in care of patients. What resources are available to help guide mentors in developing and maintaining a mentoring relationship? In addition to this FAQ page, our website contains a wealth of information. Our resources page contains helpful articles and websites on mentoring which are updated periodically. If you come across a helpful resource that you’d like to share and add to our resources, please contact the Underserved Pathway Program Manager at upath@uw.edu. In addition, our faculty and staff are always available for questions. How can I tell if my student is having difficulty? This of course is not an exhaustive list. If you have concerns about your student but are not sure if the student is in difficulty, we recommend that you contact a pathway faculty or staff member to discuss your concerns confidentially. To learn more about resources for students in difficulty, click here. What if I find that my student is experiencing personal or academic difficulty? As a mentor, your student may seek out your guidance and support during this difficult time. Talking with your student in an unbiased, nonjudgmental manner can help you to convey your concern and support for the student. However, please do not feel that you need to personally advocate for your student unless you feel comfortable doing so. A number of resources exist at all of the University of Washington Medical School’s five campuses to help students through this difficult time. Our resources page lists these resources that you may choose to contact or encourage your student to do so. What if our mentoring relationship experiences difficulty? We are asking mentors to work with their match for the duration of the student’s matriculation in medical school. We realize, however, that some matches will not work as well as others and that personal circumstances may necessitate a change of mentor or ending the mentoring relationship. The faculty and staff from the Underserved Pathway will always be available to discuss your concerns and ways to handle them. We encourage open dialogue and work with both you and the student to find appropriate solutions. If it is an academic, professionalism, or personal concern regarding the student, we may use other resources in the School of Medicine as well. What should I do if I need to stop mentoring? If circumstances arise that prevent you from continuing a mentoring relationship, please contact Underserved Pathway faculty or staff at 206-616-7889 to discuss this before telling your student. We will work with you to arrange a mentor transition for the student.